With our modern campus, ACP has the necessary facilities to perform all your academic, research, and clinical requirements. Garden Hall is a renovated 1940 Civilian Conservation Corps building containing approximately 25,000 square feet. 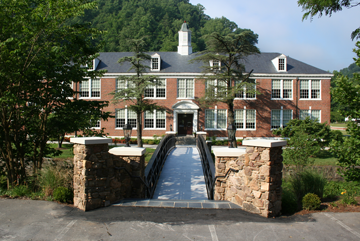 The two story structure houses a gymnasium, Library and Learning Resource Center, student laboratory, faculty research facility, Business Office, Student Affairs Office, Office of the Registrar, Admissions Office, Financial Aid Office, student and staff lounges, and the College’s boardroom. Events such as the White Coat Ceremony, Awards Banquet, Career Fair, and Graduation take place within Garden Hall. 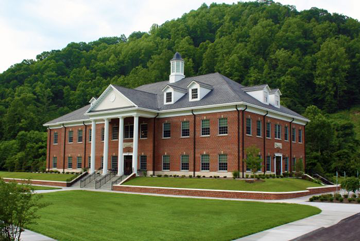 In June of 2009, the Appalachian College of Pharmacy opened its doors to a newly constructed academic building, McGlothlin Hall. The new facility provides approximately 30,000 square feet and is the center of the College’s educational activities. McGlothlin Hall contains two large lecture halls, multiple classrooms, a faculty research facility, a conference room, the Experiential Education Office, the Office of the President, the Office of the Dean, and the Information Technology Office. There are also faculty and staff offices, lounge, and recreation facility located in McGlothlin Hall. Architecturally, it complements the existing historical building on campus, Garden Hall. 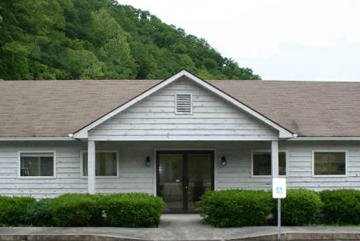 In July of 2011, the College furthered its mission to address the health-related needs of the community by establishing the Mountain Care Center, located just a few miles from campus. Patient care services offered at the Center include medication assistance for low-income and uninsured residents as well as health and wellness programs such as smoking cessation, nutrition counseling, medication therapy management, and health screenings. The prescription assistance program is designed to provide free medication for residents in the community who are uninsured and unable to afford their medications. The program offers a number of free maintenance prescription medications along with medication counseling. No prescription medication is sold at the site.